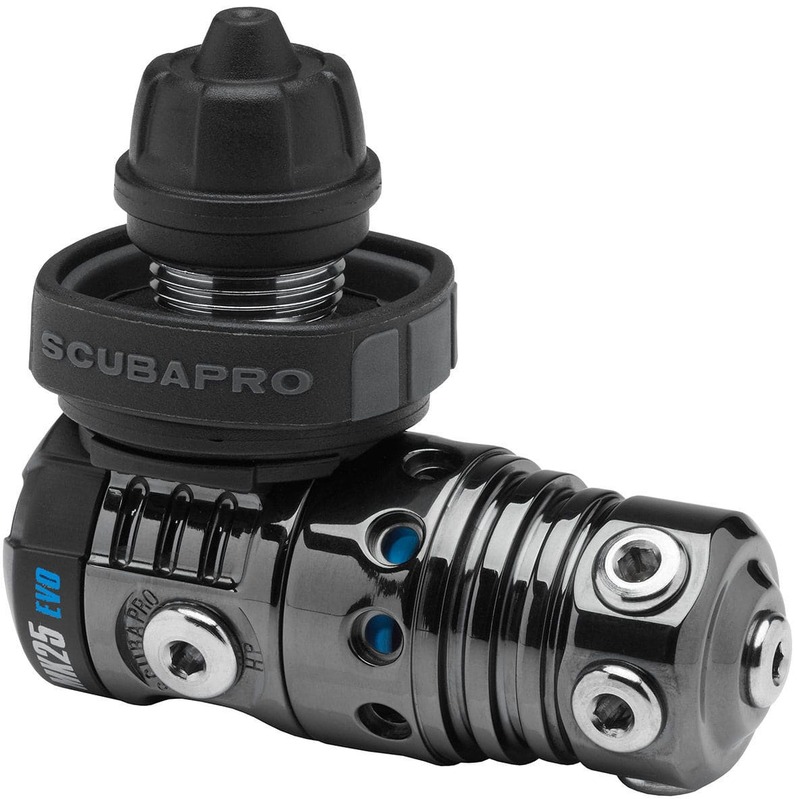 The premium MK25 EVO/CARBON BLACK TECH is not only the best-breathing reg in SCUBAPRO's line, it's also the leader in advanced design and materials. 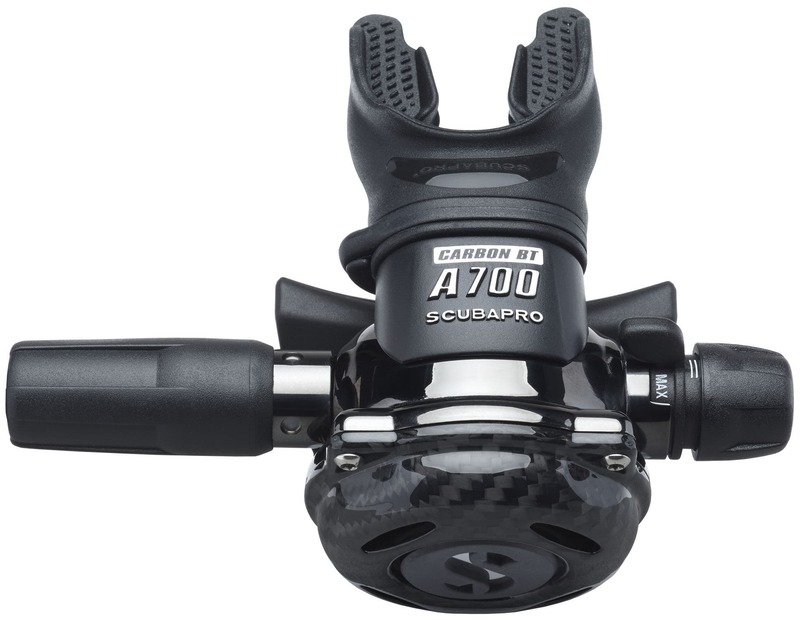 The A700 CARBON's main casing is full metal to take advantage of the extremely high heat exchange rate that makes it such a great choice for cold-water diving, and its front cover is handmade out of lightweight and durable carbon fiber. 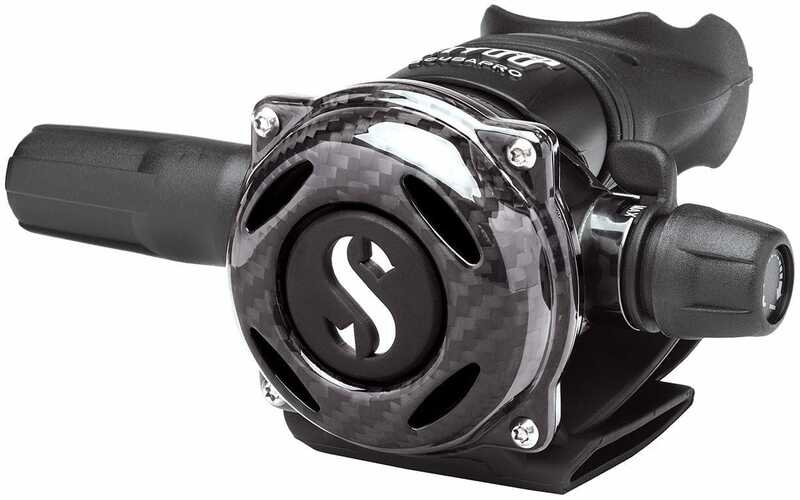 The A700 CARBON is teamed with the MK25 EVO, widely considered the gold standard in first stage performance, and finishing off this premium air delivery system is a DLC (Diamond-Like Carbon) Black Tech coating. 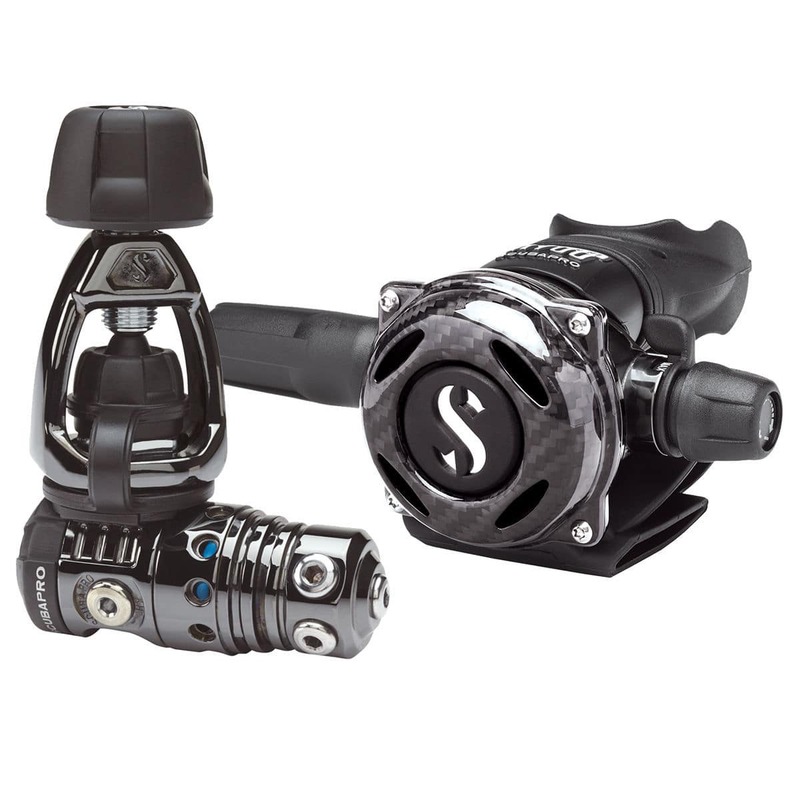 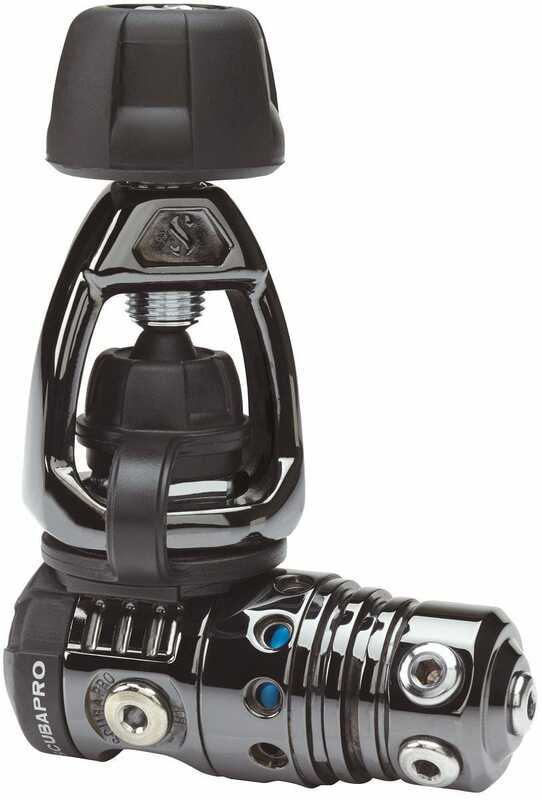 Put it all together and you have diving's ultimate muscle reg that looks great, is ultra-durable, and delivers the best breathing performance around.